Begin by filling out the credit application above. 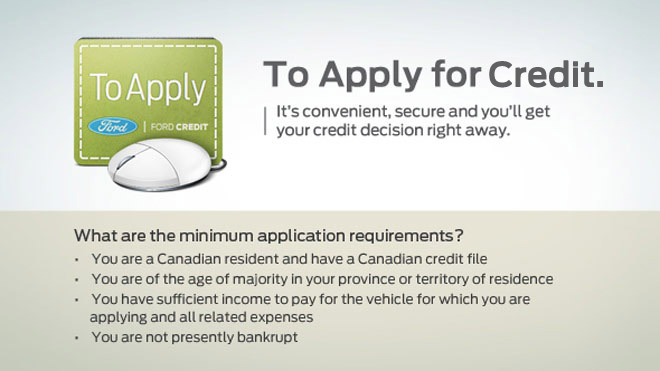 Selecting a vehicle is not required to obtain a credit decision, so don’t worry if you haven’t made your choice yet. Our online credit decision uses the personal and financial information you provide on your credit application. Bring your credit decision to us. Even if you are not approved, we can help you find the Ford Credit financing that fits you and your budget.